The villagers here live between the confluence of two rivers on one side and a long stretch of forest on the other. Peacocks roam around like family friends and more than 1,000 neem trees purify the air. 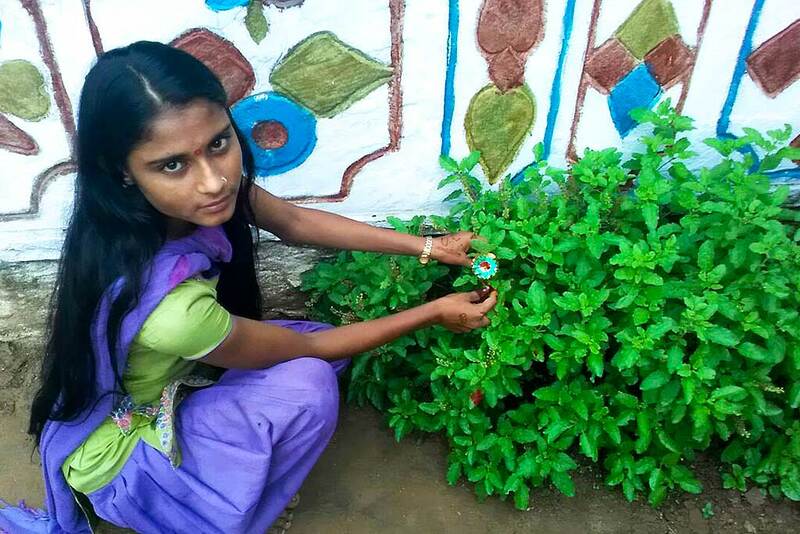 Even so, the residents were not fully aware of the bounty of Mother Nature until joining with Amrita SeRVe a couple of years back. Now conscious of their natural heritage, they wish to express their gratitude to Mother Nature. 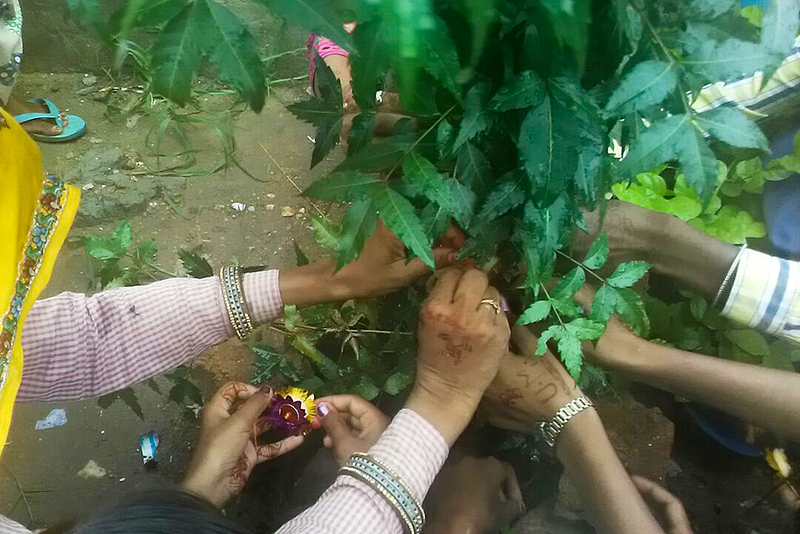 For the last two years, on the occasion of Raksha Bandhan, women and girls also gave their respect to the trees around them. They showed enduring gratitude for shade, fruits and wood. There is also an ongoing tree planting project unfolding in the community. “Trees protect us, so we’ll protect the trees,” say the people of Harirampura.